One Stop Shopping is a well established hybrid retail park and shopping centre serving the north side of Birmingham. Other Anchors include: M&S Outlet, Nike, Sports Direct with other nationals represented including: Wilko, Clarks, Footlocker, Peacocks, Holland & Barrett, Boots, Superdrug, Greggs, Card Factory, TUI, New Look, Burtons and Dorothy Perkings. New retailers include: JD, Costa, The Food Warehouse, The Works and The Gym. The centre is well managed and has a reputation for being trouble free and fully integrated into its local catchment with a focus on supporting community events and engagement. Prominently positioned immediately adjacent to the A34, Walsall Road which is a key arterial route into Birmingham City Centre. 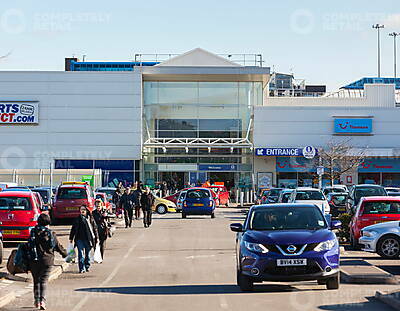 The M6 Motorway junctions of 6 & 7 are only 3 miles to the south and north respectively Perry Barr bus interchange is located at the front entrance to One Stop Shopping providing extensive public bus services to a wide network. Perry Barr railway station is also located directly opposite the One Stop Shopping entrance and there are regular services into Birmingham New Street station with a journey time of only 12 minutes.